An exclusive RT interview reveals the institutional problems of Chicago that led Cook County voters to oust State’s Attorney Anita Alvarez on Tuesday. 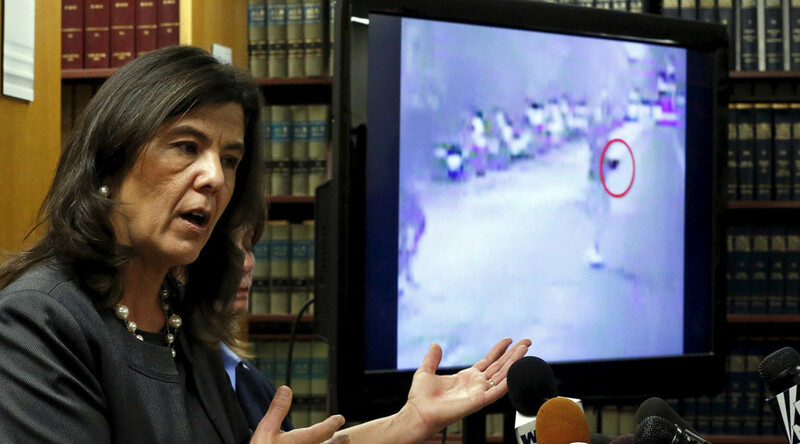 Her stalled prosecution of the police shooting death of unarmed black teen Laquan McDonald is the tip of the iceberg. Alvarez conceded to challenger Kim Foxx in the Cook County State's Attorney race after only earning 29 percent of the vote to Foxx's 58 percent, Patch reported. Kevin Gosztola, the managing editor of Shadowproof and co-host of the Unauthorized Disclosure podcast, joined RT to discuss the recent history surrounding Alvarez and much of the city’s police and media, which galvanized voters to elect a new city prosecutor. “There's been this whole grassroots campaign here in Chicago,” Gosztola said, explaining that word got out through Twitter with the hashtags #ByeAnita and #AlvarezMustGo. “It's been intense, because she's seen as covering up the Laquan McDonald killing, and she was directly involved. In fact, she dragged her feet and would not prosecute Jason van Dyke for murder because, she claims, she was waiting for a federal investigation,” Gosztola told RT America’s Anya Parampil. Activists and witnesses had called for Alvarez to take more action quicker, but it was only upon release of the police dashcam, 13 months after the killing, that Alvarez moved ahead with prosecution. Too little, too late for too many come election day. “[Alvarez]'s using her connection or her talk with the FBI to justify not prosecuting sooner, but when this video was released, because a journalist forced the release of this video through a Freedom of Information Act request, she had to bring charges against this officer, and she's been trying to cover her tracks ever since,” Gosztola said. This “disinformation,” as Gosztola referred to it, was reported without question in local media reports, partly due to the Chicago PD not releasing statements “because they're afraid of liability that they might be prosecuted, that their own officers might be prosecuted,” Gosztola said.